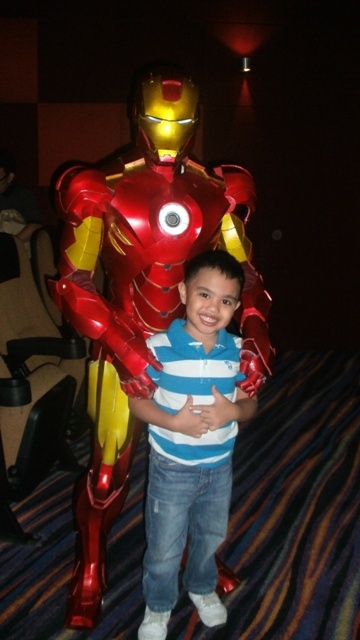 The third franchise of the movie, Iron Man 3, premiered today (April 25) in Philippine theaters. Directed by Shane Black, Iron Man 3 stars Robert Downey Jr., Gwyneth Paltrow, Don Cheadle, Guy Pearce, Rebecca Hall, Ben Kingsley, Paul Bettany, James Badge Dale and Jon Favreau. 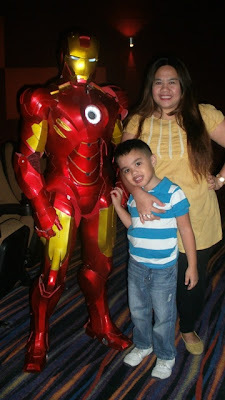 I truly enjoyed the metallic hero Tony Stark's latest adventure in this movie, it was indeed an exciting ride that never loses its humor alongside the expertly melds action scenes. The lines and spills were cleverly delivered and the state-of-the-art special effects are wow-worthy. Being a romantic fool that I am, I am also giving credits to the love story of Stark and Potts which for me gives the balance to the other elements that I mentioned to make it a recommended movie for everyone. The "Barrel of Monkeys" scene is my son and I favorite. 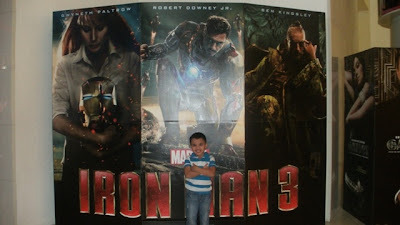 Indeed, we had fun watching the “Iron Man 3” in big screen. 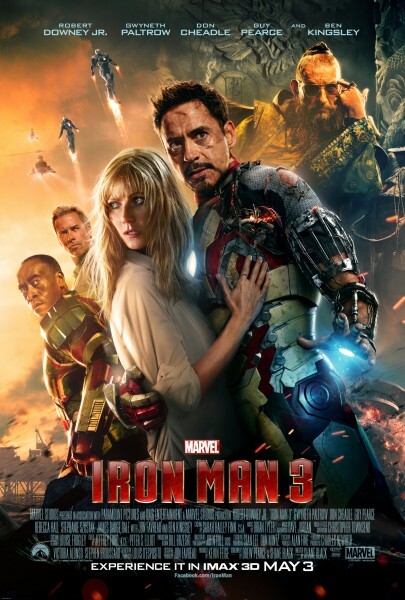 Iron Man 3 has some great twists and turns for my liking, you’ll have to find it for yourself! Thanks to the company-sponsor who provided us complimentary tickets, the AppLabs and through a blogger fellow, Richard Mamuyac :). Watch for the Iron Man 3, now showing in cinemas nationwide!